KEVIN HARPER wants to be judged on his abilities as a manager, not the colour of his skin. 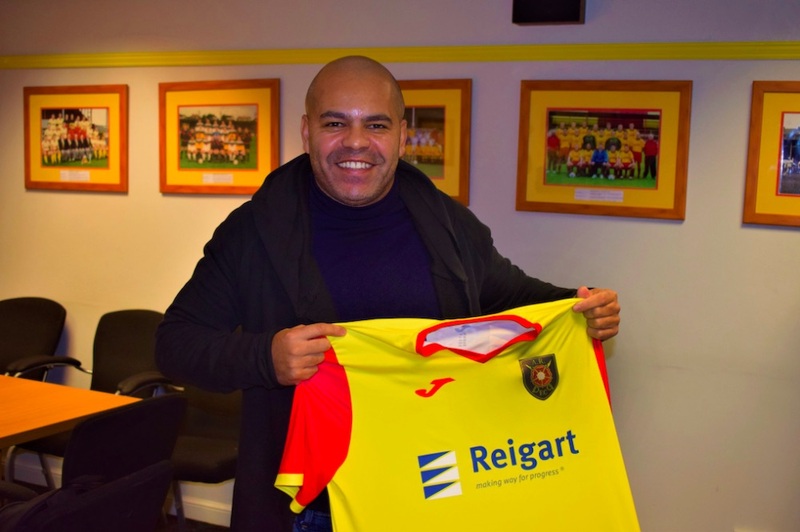 However, the new Albion Rovers boss will not shy away from the significance of his appointment as he seeks to blaze a trail for black, Asian and minority ethnic coaches in Scottish football. Harper, 42, is the only BAME manager currently working in the SPFL, ending dearth of diversity that stretching back to the Brazilian Marcio Maximo’s departure from Livingston in 2003. Former Celtic boss John Barnes and the Frenchman Claude Anelka are the only other black men to have held the top jobs in the Scottish game, with the latter effectively installing himself at Raith Rovers. Harper’s own ascent to the dugout, despite a playing pedigree including spells with Hibs, Portsmouth and Stoke, has been a challenging one. “It’s been more than 15 years since there was a black or minority manager in Scottish football. (Marcio) Maximo at Livingston was the last,” said Harper. “I can speak from my own experience. I applied for 40 jobs and only got three replies even acknowledging me. “The rest just ignored me and Albion Rovers were the only team to invite me for an interview. “After being ignored the first 10 times, I could have just given up. I’m sure there are plenty of aspiring minority coaches who feel disillusioned and think it will never happen. It would be hard to blame them. Statistics reported in 2016 showed that, of the 10,000 registered Scottish FA coaches, around 6 per cent – 600 individuals – fell into the category of ‘non-white’. However, Harper believes opportunities for minorities in the senior ranks have been slow to arrive. “There’s no getting away from the fact that having a black manager in the dugout will be a new phenomenon,” Harper continued. “It’s a shame that is the case but in all my time trying to get into coaching, that has always been the case. Aside from a brief period coaching at Airdrie, Harper comes into arguably the toughest job in the SPFL at the moment, with Albion Rovers fighting for their lives in League 2, as a rookie. However, following a successful playing career north and south of the border, he has a Champions League-winning coach, a man who managed England and an ex-Tottenham boss on speed-dial as he attempts to craft his own path in the dugout. “I feel really fortunate to have worked under some really good coaches who I can give a call and draw some guidance and advice from,” added Harper. “You take elements from all of them and hopefully create something that works for you. “In the end, you live or die on your decisions and you need to be your own man.